"Copyright infringement" is understood in its broadest sense here: an amateur movie which includes quotations from a copyright-protected script or soundtrack would qualify, so would a home movie filmed while Kung Fu Panda played on a TV screen in the background. Some more nice examples here. Any use of any "intellectual property" object is regarded as a violation resulting in a blog – or even an entire web resource – being closed down. What bothers me is the complete "Americanization" of this Internet law. Of course, this is a matter of habit. Any state should, of course, think first of all about its citizens, their interests, protecting its own inventors, developers and manufacturers and about its economy. However, under this law, the interests of non-American authors/creators are not protected at all, while the nationality of the perpetrators is of no importance. This means that the rights of non-Americans can be infringed however, whenever and wherever you want. But US interests must be respected globally. The "I don’t care" position doesn’t work – see the list of DNS servers: all of them are in the US or on very friendly territories. Yes, that’s right…the carrot is across the ocean and the stick is there too. A friend of mine summed it up nicely: "There’s an interesting film on Torrent. If I download it, I’m a criminal. If I don’t, I’m an idiot." Laws like SOPA divide the world into criminals and idiots. Don’t you think something is rotten in the state of Denmark? The world has changed. Long ago it became a network rather than a vinyl world (for those who do not know – years ago music was released on so-called records – vinyl disks about the size of a car wheel). The middlemen have become unnecessary. Now they will have to figure out how to transform their business in order not to disappear in the future – instead attempting to send the Internet business back to the "vinyl age." Protecting the film/audio/software and other "intellectual" industry interests by means of SOPA is like taxing e-mail in favor of the State Postal Service, or forcing Skype to charge the same as the phone companies. It’s like copyright holders, as they have tried to do in Russia, claiming a levy on the sale of every blank DVD or memory stick in case someone uses it to store a film or a song rather than family photos or home movies. At the same time, I do not share the principle "everything is free to everybody." Not only do the authors have to eat, they need money to create their products, this intellectual property, which is sometimes a rather cost-based thing (for example, the budgets for film production or software development can amount to tens and even hundreds of millions of dollars). It does not violate the interests of the copyright holders. The Internet age has no place for the rudiments of the bygone age of vinyl, which is a far cry from today’s technologies, customer demands and reality in general. Just because this old style of business can’t or won’t change, it is trying to lead the Internet marketplace to an early grave with the help of SOPA and the like. 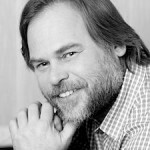 Eugene Kaspersky is co-founder and CEO of Kaspersky Lab, Europe's largest antivirus software company. IDC ranked the Kaspersky Lab among the world’s top four vendors of security solutions for endpoint users, and the company's antivirus engine powers more than 120 different security solutions including those provided by Juniper Networks, F-Secure, Netintelligence, Netasq, and more.